– 87% of the world’s lithium comes from three countries – Chile, China and Australia (although there are reports that Afghanistan could possibly become the `Saudi Arabia’ of lithium production). Think of what would happen to the anti-depressant industry if half of their populations turned out to be like ours: bipolar. – 53% of the world’s reserves in copper come from three countries – Chile, Peru and Australia. – 63% of the world’s uranium comes from three countries – Canada, Kazakhstan and Australia. 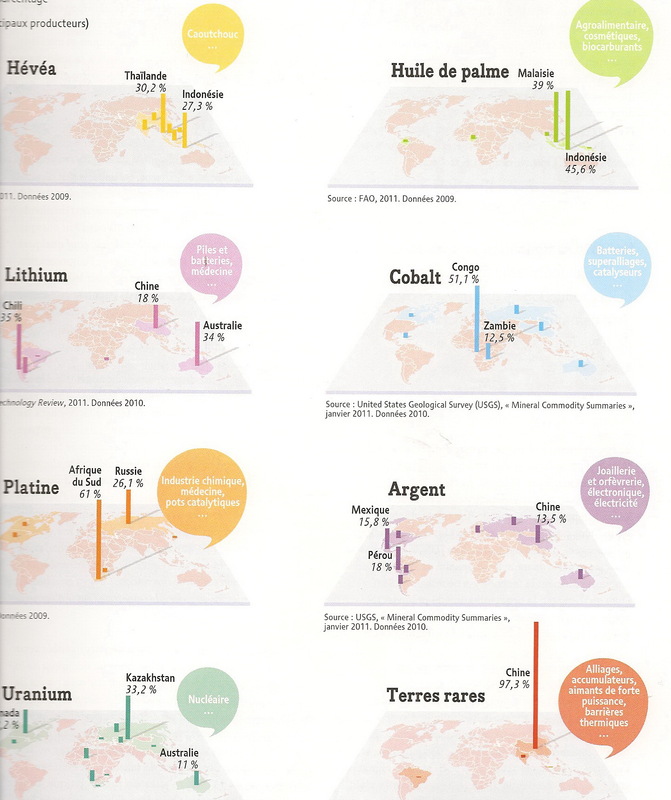 – 97.3% of all rare earth elements come from one country, China. Debtocracy – a YouTube program produced in Greece with subtitles in English. Runs an hour and fifteen minutes. Is quite good. perhaps it refers not to `reserves’ but to where it currently is being mined. Perdonad mi comentario, de lo anterior se deduce que ni somos ni seremos libres jamás.